Isiah Factor | The Insite » DO YOU WANT A JOHN MCCAIN SIGN IN YOUR FRONT YARD? DO YOU WANT A JOHN MCCAIN SIGN IN YOUR FRONT YARD? 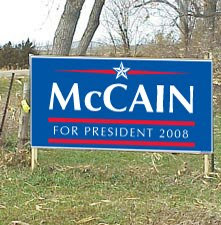 September 6, 2008 | Posted in Uncategorized | Comments Off on DO YOU WANT A JOHN MCCAIN SIGN IN YOUR FRONT YARD? JARED WOODFILL HAS A LOT OF THEM! Your Harris County Republican Party has just received our first shipment of McCain/Palin signs Hot Off The Presses! Signs can be picked up at our offices located at 3311 Richmond Ave, Ste 218 between the hours of 9:00 a.m. and 5:00 p.m., Monday-Friday. Since we are purchasing the signs, we are asking for a donation to offset the cost. The suggested donation is $5 per sign. Bumper stickers for McCain/Palin are also on order, but have not yet arrived. Also, while visiting our office, be sure and pick up signs and campaign materials for our other great candidates on the November ballot. Remember, our down ballot candidates need your help too! The calendar will be updated often, so save the link and refer to it often. The kids are back in school, Labor Day has passed and the Republican National Convention is now just a memory, so it’s time to get involved with us as we work to elect our Republican ticket! Please take a moment to visit our website and complete a volunteer form by clicking here. The response to the McCain/Palin ticket has been overwhelming and we need volunteers to help. We are especially in need of volunteers at our office during business hours to help us answer phones. You may also click here to visit our Elections page if you would like more information about individual campaigns. Help Keep The Campaign Moving! Your Harris County Republican Party is working hard to elect our entire Republican ticket in November. We have an aggressive campaign to get the job done, but we cannot do it without your financial support. Please help us by making a contribution to ensure that we can fully implement our campaign plan. 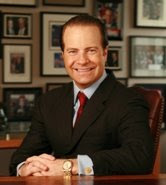 To make a donation, whether $10 or $10,000, please visit our website at www.harriscountygop.com and then click on the “Donate Now” button. Your contribution to your local party will be used right here in Harris County to elect the Republican candidates who make a difference in our own community.